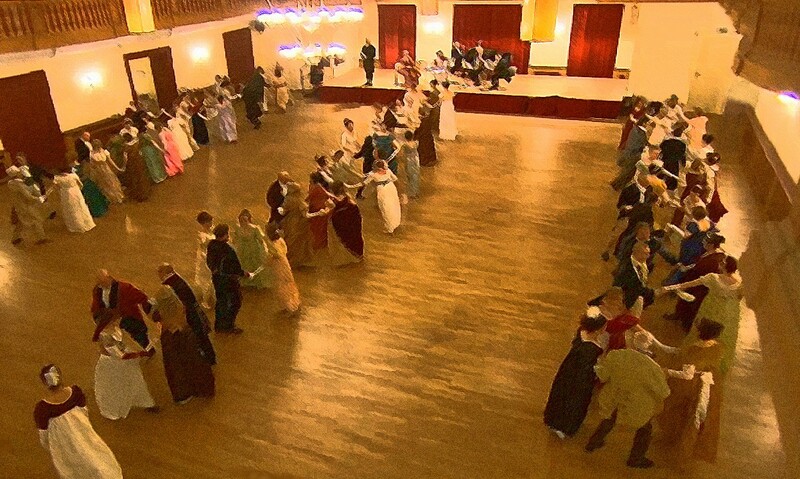 Dancing at a historical ball in a perfect Regency period-setting: my dream of heaven came true a couple of days ago at the Grand Jane Austen Ball in Ansbach/Germany. how dark it was in an 18th century country house after sunset? what you can see in a room lit only by candles? how it feels to enter a room illuminated by several crystal chandeliers? You could arrange an experiment at your home by lighting some candles at night. But this wouldn’t quite reproduce the lighting conditions of a country house, as there are less gildings, reflecting mirrors and chandeliers in the average apartment of our times. I thus set out to experience a historic house after nightfall. 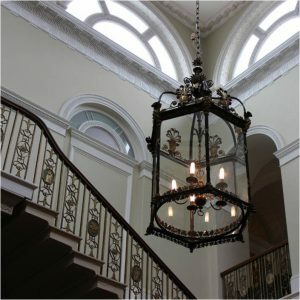 My central question: What are the lighting conditions and how can a Historical Novel Writer depict them properly in a novel? Let me take you to the Château de Vaux-le-Vicomte, a grand chateau in France. We will wander its rooms and enjoy its park adorned with thousands of torches. Music fills the ball room. The English chamber orchestra The Pemberley Players strikes up. 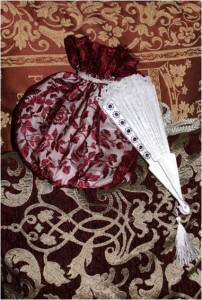 About 100 persons dressed in historical costumes dance the elegant formations of the opening polonaise, smiling and greeting each other. A glittering ball set in the Regency period begins: We are at the Grand Jane Austen Ball, pretending to have travelled in time back to Regency England. The Museum of Creativity proudly presents “An Empire-Style Ball Gown Based on 21th Century Clothes”. “I cannot determine what to do about my new Gown”, Jane Austen once wrote to her sister Cassandra. This is a feeling many of us can sympathize with. If you are going to attend a ball set in the Regency period, figuring out what to wear, where to get it or how to do it yourself is no easy task. In my post “Falconry in the Romantic Age”, I described that falconry was still practiced in the Regency period by gentlemen and ladies alike. Just as scriptwriter Andrew Davies, who used falconry in the movie adaptation of “Sense and Sensibility” to characterize Colonel Brandon, you might want to include falconry in your novel. You could create a thrilling hunting scene or have your heroine impress your hero with her falconry skills. In the Romantic Age, Falconry was called hawking. 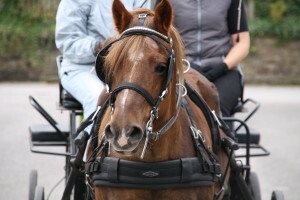 To get an idea of how a character of a Regency novel would experience hawking, I took a discovery course in this noble sport myself when I went to England last year. I had pre-booked a half-day experience at The Birds of Prey & Conservation Centre at Sion Hill Hall, near Thirsk, Yorkshire. There are of course many other falconry centers in the UK, and also some country hotels that have similar offers. 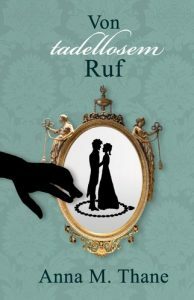 Many readers of Regency novels are fascinated by driving a carriage: It’s partly romantic, partly adventurous and in our accelerated times comfortingly nostalgic. Most people of the Regency period would shake their heads at such attitudes. 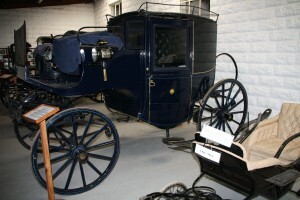 To them, driving a carriage was mainly a means of transport and not even a convenient one: Stage coaches were crammed with passengers, accidents happened frequently, and to become sick in a carriage wasn’t unusual. To find out how travelling in a coach felt like 200 years ago, you can visit the museum of travel and traffic, “Deutsches Museum Verkehrszentrum”, if you happen to come to Munich, Germany. There is a simulator of a historical coach waiting in Hall II. 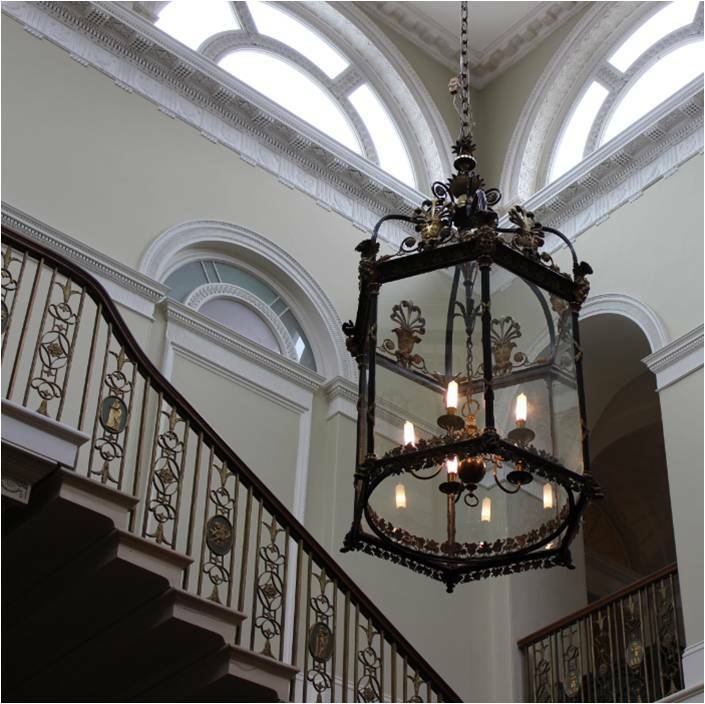 Climb in and experience the Regency period. 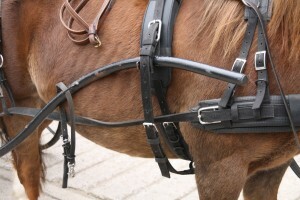 If you are really serious about researching carriages and carriage driving in the Regency period, there is a more hands-on option. as promised, here is my post with dance instructions and a free mp3 soundfile for “Lady Caroline Lee’s Waltz”. Lady Caroline Leigh was a distant relative of Jane Austen. Her son James Henry was a second cousin to Jane. It is easy to imagine that the “Lady Caroline Lee’s Waltz” was danced as part of the evening entertainment when Jane visited James Henry. The music sheet for the “Lady Caroline Lee’s Waltz” was part of Jane Austen’s library. It is, however, still the status quo of the Austen-research to have solely proven she danced the boulangère, and I don’t want to imply anything else.